Each Section has its own uniform. 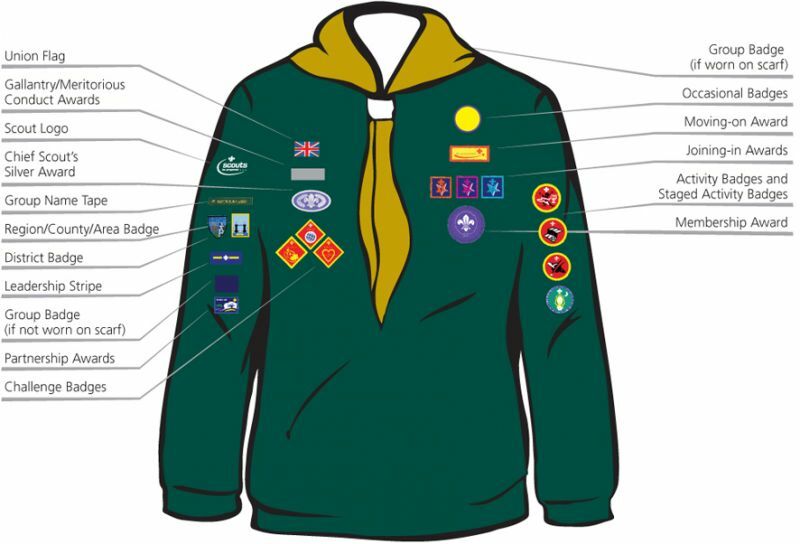 For Beavers this is a turquoise sweatshirt, for Cubs a green sweat shirt, Scouts a teal green shirt and Explorers wear a beige shirt. 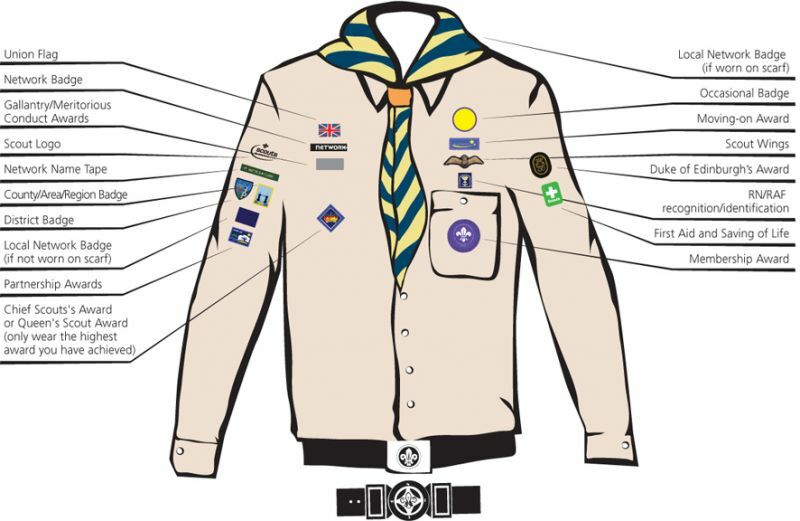 All sections wear the Group scarf, which is khaki. Activity trousers are also available, but school trousers are quite acceptable. There are also T shirts/shorts/fleeces etc but they are entirely optional. 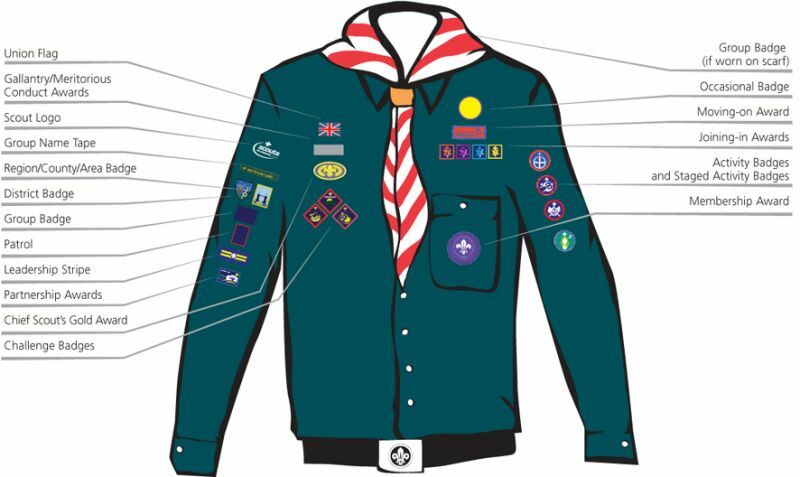 When a young person joins a section we advise that the uniform is only purchased when they are ready to make their promise (usually after 3 to 4 weeks). When a member moves from one section to another they may wear their old uniform until they acquire the new uniform. The scarf should not be worn until the young person has made their promise in each section. Occasionally the Group has second hand uniforms available. Enquiries should be made to your section leader. If you have any old uniform that you no longer need you are welcome to recycle it by handing it to your section leader. 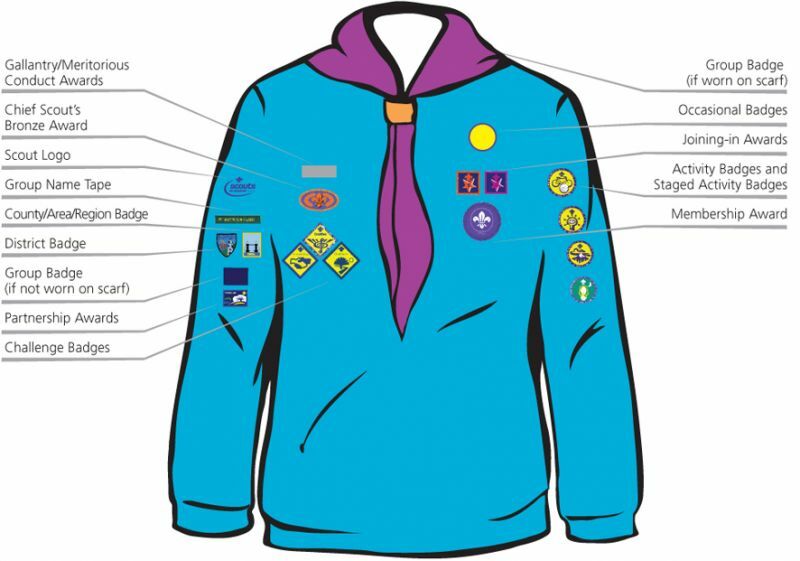 Each section can work towards a number of badges. 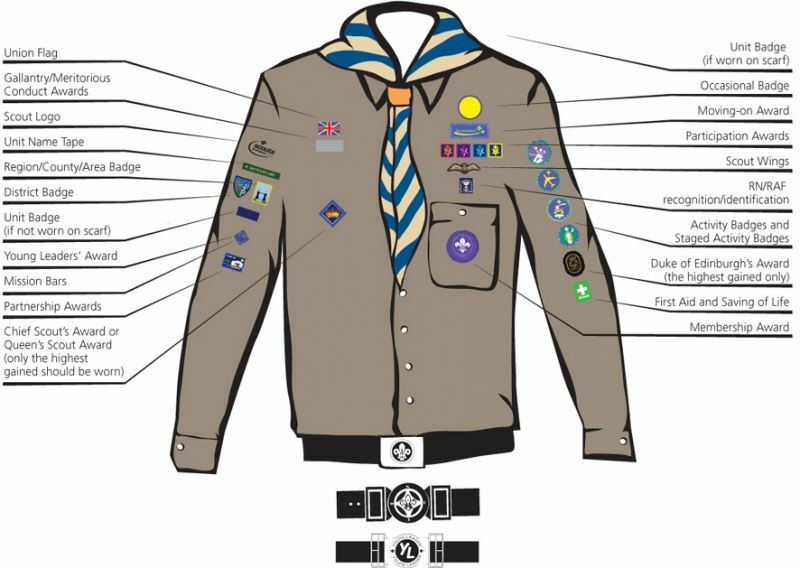 The position of badges on uniforms for each section can be found below.